Q2. Hi, I have two music tracks. In the first audio file I have drums and bass and in the second one I have organ and sax. The two tracks have the same number of beats and time and I would like to combine them in a single file… which software do you recommend? The above questions are just two of the many that comes to us in the editorial office. 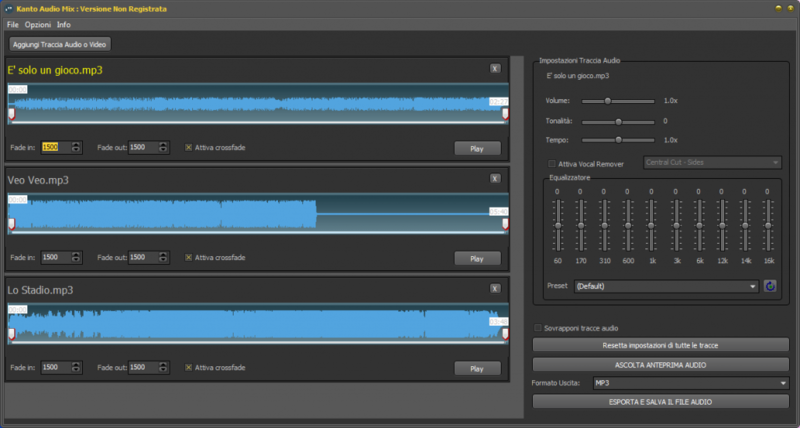 To satisfy this request and many others, and avoid using complex and very expensive software like Cubase, Sonar, Soundforge, etc .. we decided to create a new tool that can overlap two or more audio tracks (mp3, mid, wav, etc…) and doing many other very interesting things. The program in question is called Kanto Audio Mix, and as the name implies, it allows you to merge audio files, mixing both as “audio tracks overlay” and “joining multiple audio files” in order to create one only outgoing. 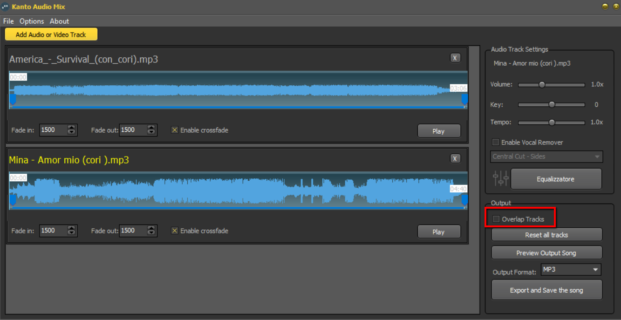 In the following guide, we focus on how to overlap two or more audio tracks. Click at the center of the program to import the audio files you want to overlay each other to create a single output audio file. For each mp3 song you can click the Play button on the right to pre-listen it. 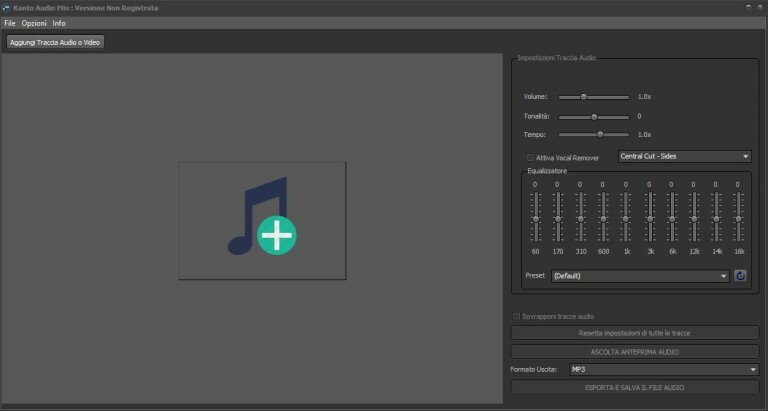 At the bottom right of the program select the “Overlay audio tracks” box and click on “Listen to audio preview” to preview the final audio file. If everything is OK click on “Export and save the audio file“. The new audio track will be saved on your desktop and you can decide whether to save it in mp3, ogg, wav, mp4, aac or m4a format. That’s all. Now you can Overlap Two or More Audio Files in a simple and fast way with Kanto Audio Mix. NB: The audio file created with the free trial version of Audio Mix plays a DEMO voice every 60 seconds. 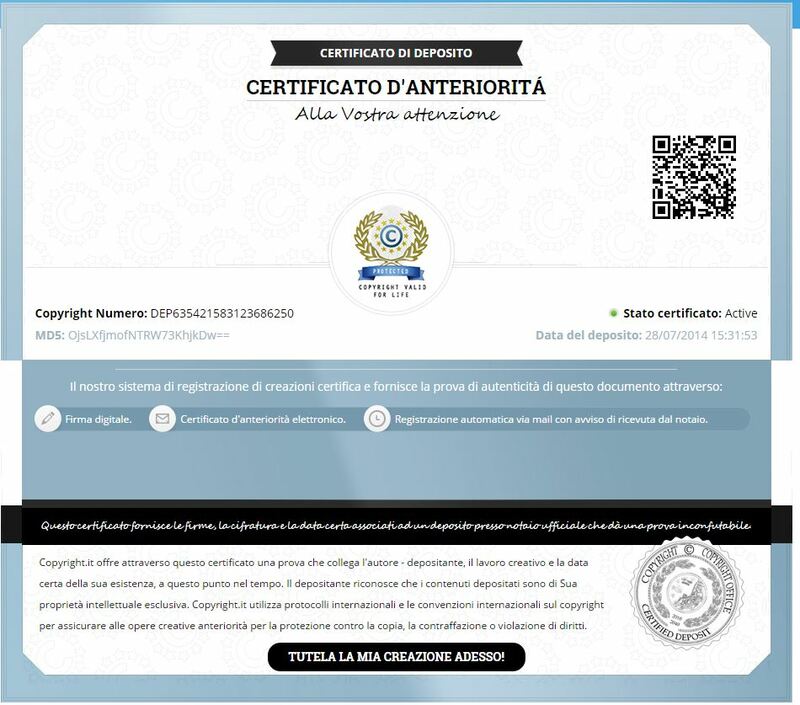 To remove this limitation, purchase the full version (lifetime license and free updates).